I saw this comment about two of my paintings on Facebook and I couldn't resist putting it here together with the paintings it refers to! 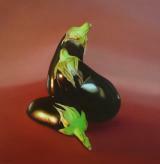 "Trinidad has a talent for putting Life into Still Life that I can only view in Awe but unable to comprehend. She performed this feat with my favourite Scotch Bonnet peppers from my homeland of Trinidad - for a B'day gift from my Partner, Eva. This was overtaken when I commissioned her for a portrait with Eva for her 60th B'day - it so beautifully captures the Joy & Warmth of our relationship - constantly being admired by friends as it hangs proudly in our home. Magnificent!!" 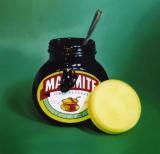 "Also, (we bought Marmite III) from you along time ago. Its been in our kitchen all around the world in the last decade (Shanghai / Singapore / Nairobi & now Oxford!). I still love it!" This is the sort of comment that makes it all worthwhile! Thank you! 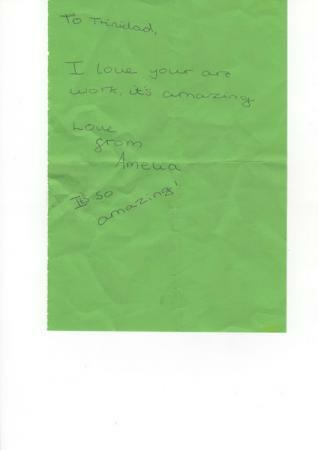 I was very touched when a colleague handed me this note from her teenage daugher. "I collected Cherry Royall II this afternoon. I waited for my wife to get back and we opened it with our two daughters. Its stunning and is now hanging in pride of place in our living room." The Portlock Family, Wolverhampton. “I was introduced to Trinidad’s work by a friend of mine and I instantly fell in love with it. I commissioned Trinidad to paint some cherries for me and I am absolutely delighted with them; and she even matched the colour of the canvas to my wall! The cherries take pride of place above the fireplace in my sitting room and I don’t believe I will ever tire of looking at it. Trinidad has an amazing talent and her picture fills me with such joy.” Ms K Burr, London. "Trinidad has a talent for putting Life in Still Life that I can only view in Awe but unable to comprehend. She performed this feat with my favourite Scotch Bonnet peppers from my homeland of Trinidad - for a B'day gift from my Partner, Eva. 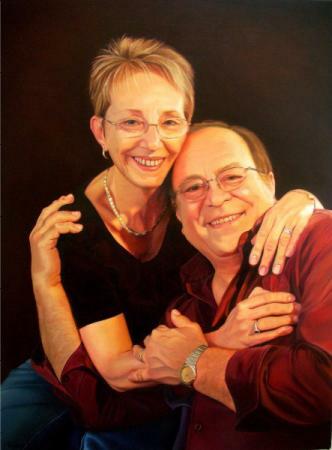 This was overtaken when I commissioned her for a portrait with Eva for her 60th B'day - it so beautifully captures the Joy & Warmth of our relationship - constantly being admired by friends as it hangs proudly in our home. Magnificent!!" Mr Roger Barcant, London. "I love the luminous quality of Trinidad's painting, the rich sheen of the fruit, the richness of the oil and the way she captures very essence of her subject matter. ", Mrs C Crump, Sydney, Australia. 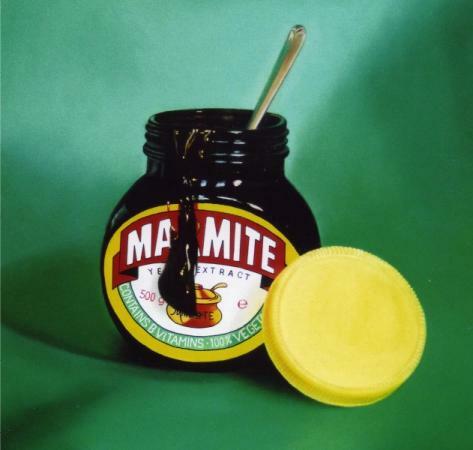 "My husband bought Marmite II a few years ago. The painting has been proudly hanging in our kitchen ever since. I just thought that you would like to know that it is the most admired article in our house and just about everyone who visits comments on it and are amazed when we tell them it is an oil painting. I often look at the painting and wonder how you did it, amazing. Thank you very much for sharing your talent." Mrs Land, Croydon. "Trinidad's enthusiasm for her painting and her desire to get to know you so that she can create the perfect picture for you which represents not just the vegetables or fruit but your personality too makes working with her a delight from start to finish. 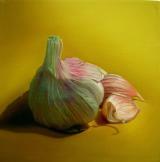 Spanish passion combined with bold use of colour and interesting composition and light makes her work come to life." Ms S. Pickering, London. "We are so pleased with the three pictures we commissioned from Trinidad. They are exactly what we envisioned and suit the space they were designed for perfectly. The process of arriving at the decisions necessary to achieve the final product was thorough, but relaxed. Trinidad took as much time as was needed to discuss every detail with us, presented us with drafts and options and did the research required to ensure that we were 100% satisfied." Mr and Mrs Klassen-Green, London. "Over the pst few years I have been privileged to collect seven of Trinidad's paintings, including my portrait. Trinidad is a very talented, skilled artist. Everyday I look at the paintings with pleasure. Mr M. O'Donnell, London". "We have quite a number of Trinidad's paintings and would be privileged and delighted to have any of her works on our walls. Our favourites are her "On Fruit" collection." Mr C. Toogood, London. 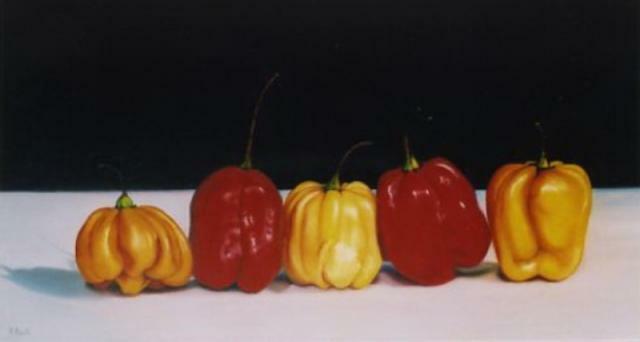 "I am fortunate to have been able to purchase six of Trinidad's paintings. It's difficult to say which is my favourite. All say so much to me, the paintings are displayed throughout the house. Trinidad, in my view, is a very talented painter, meticulous and imaginative, a quiet passion is there. All of Trinidad's paintings continue to give me joy and each new exhibition is eagerly looked forward to." Mrs N. Sargent, Isleworth. "I'm an interior designer and was commissioned on several schemes for my client who lived at a property called "Peach House". My client wanted help with artwork, and gave me their brief of liking the Modern Masters style of painting, but wanted this realism in a contemporary format. I saw Trinidad's work in an art gallery in Wimbledon, and her style fitted my client's brief brilliantly. It was a total pleasure working with Trinidad. The process couldn't be easier. My client and I saw Trinidad's sketches of the picture, and then saw them as "work in progress". My client loved the idea of meeting the artist and discussing the progress of the pictures. The colours were subtly colour-matched to the colour palette which I had chosen for the Hallway; the artwork looks like it was purpose made for the house. Well, it was! Trinidad is a great find, and I look forward to having her work on more art work for other clients."